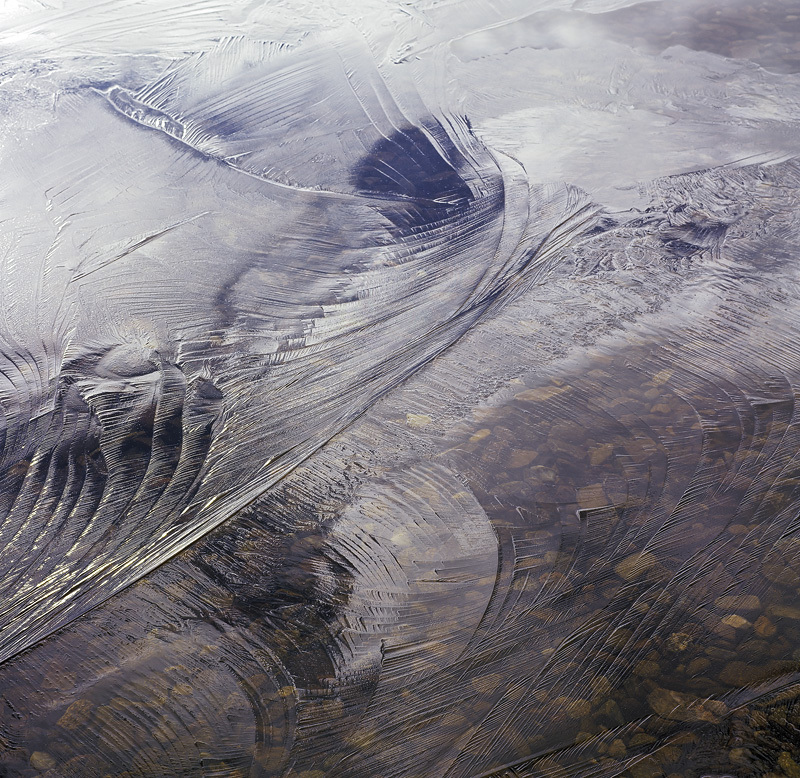 A thin skin of fresh ice formed over the surface of Loch A Chroisg even as I watched. It was so fragile that the skin puckered and wrinkled reforming and freezing many times with the undulation of the wind rippled water. When the pattern assumed its most complex and intricate of layering I adjusted my angle of view to pick up the reflection of the sky and adjusted a polariser to peer through the water surface to reveal the stones on the bed of the loch to create a subdued palette of red rock and blue ice.